The Cape Henry Cup is a CBYRA-sanctioned event with points qualifying for their High Point standings. This unique long distance race takes racers over both openings in the Chesapeake Bay Bridge-Tunnel. In 1974, The Cape Henry Cup Race for Cruising and MORC boats (now PHRF) was established. 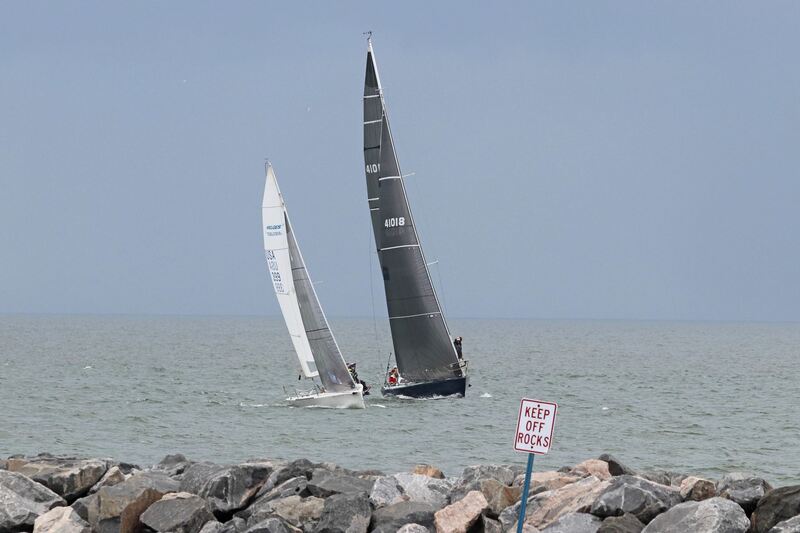 This is one of the more popular races on the southern Chesapeake, with the course passing out through the Maryland Channel opening of the Chesapeake Bay Bridge-Tunnel and returning through the Thimble Shoal Channel opening. This race is part of the Southern Bay Distance Racing Series (SBDRS). For details and registration information, please see the Notice of Race in the Documents section. The Racing Fleet Captain will post news updates and information in the Blog below. You can find the Cape Henry Cup Notice of Race (NOR) on the Documents page. The Cape Henry Cup Sailing Instructions (SI) will be posted after May 14, 2019.